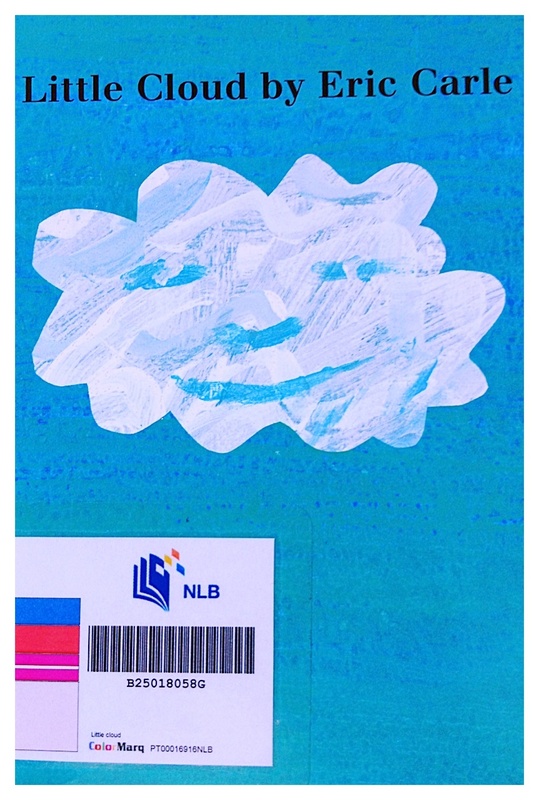 Little Cloud by Eric Carle is one of Dot’s favourite reads. To a child, clouds are not just clouds? They can change into a rabbit…clown..anything under the sun. Just imagine. Before we read aloud, I would bring her to the window where she could have full view of the sky. “Where are the clouds?” and she would point at the white, fluffy clouds floating in the blue sky. One day, God sent a pair of eagles soaring freely in the clear blue sky just in front of us. What a delightful sight! It has been raining lately. The rainy season is a good time to share to her that God made water in the sky in the form of clouds. When the clouds come together and turn grey, it means it is going to rain soon. She also learns how to sing “Rain, rain, go away”. We did a simple craft by cutting the white cotton pads into any shape she wanted and pasted them onto a blue paper. Would love to learn more from those who have done Little Cloud fun and creative activities. Just link up your post under comment. Hi, thanks for stopping by my blog. You have such a lovely blog here! My boys enjoyed reading Little Cloud too. In fact, they love all Eric Carle’s books. Hi H.I. Ng, thanks for your compliment.